When looking at disruptors in the e-commerce space, it’s easy to focus on dominant forces like Amazon, Walmart and Target. But behind these giants is a host of smaller, more innovative online retailers that are growing at a rapid pace. Time will tell whether these new players will become the titans of tomorrow, but one thing is for certain: they’re disrupting retail today, and they cannot be ignored. Here are three online retailers you need to keep an eye on this year. Among consumers, Wayfair is a well-known brand. In the world of retail analysis, however, it receives relatively little attention. This is surprising given the fact that the online home goods retailer generated $3.1 billion in revenue in the United States in its last fiscal year and is currently growing sales at a rate of 31%. It now accounts for just under 13% of all online home goods sales in the United States and will likely overtake IKEA’s market share in the next two to three years. So what’s powering Wayfair’s explosive growth? Its product range, which spans more than 8 million items for the home, makes Wayfair an authority and therefore a primary destination for many home décor and furniture shoppers. 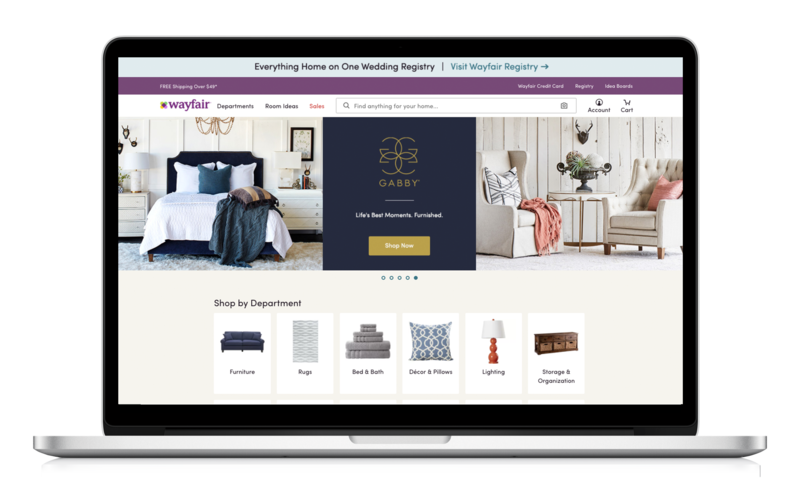 To avoid the problem of bewildering consumers with too many choices, Wayfair breaks down its offerings into several different brands, each with its own website. AllModern, for example, caters to those with contemporary tastes, while Birch Lane is targeted at more traditional shoppers. On each site, themes are used to help customers find products that are right for them. This approach helps maximize average transaction values, as customers are enticed into buying multiple items to create the looks they desire. Behind the scenes, Wayfair has developed a first-class logistics system that allows it to ship many items directly from suppliers to consumers. This approach minimizes costs for Wayfair and improves delivery time. It is also one of the reasons Wayfair can offer such an extensive range without the need for an enormous amount of warehouse space. Wayfair’s technology platform also plays a role in the company’s success. This platform provides intelligence and analytics to suppliers, which enables even small firms without technical expertise to do business with Wayfair. These more modest suppliers offer unique and exciting products that help Wayfair stand out. In 2018, Wayfair will be busy with international expansion. However, it is also adding more logistics capacity in the United States and is increasing customer numbers and spend with a host of new marketing initiatives. As a result, its share and influence in the home market will only grow. "Wayfair now accounts for just under 13% of all online home goods sales in the United States and will likely overtake IKEA's market share in the next two to three years." Since the economic downturn, dollar stores have become a major success story of retail. Dollar-format stores have sprung up all over the country, led by giants Dollar Tree and Dollar General. Between them, these two companies now have almost 30,000 outlets in the United States alone. Despite this success, dollar stores have not made much of an impact online. While the big chains dabble in e-commerce, it remains an insignificant part of their operations and is not an area of corporate focus. Part of the issue is thin margins. Add in the costs of delivery and the traditionally lower volumes bought online, and the online model just doesn’t stack up. A relatively new entrant, Southern California-based Hollar (founded in 2015) is changing those dynamics. Although it is an online-only player, the proposition is similar to that of traditional operators – most items are $2 or under, with virtually none over $10. In 2017, customer numbers grew by 47%, and, while still small, the company is gaining market share fast. Its 2017 gross margins were positive, which is quite an achievement for a young company in a low-margin, cost-intensive part of the retail sector. Underpinning Hollar’s success is its ability to drive volume through its site. The company only breaks even on orders of around ten or more items, so persuading consumers to buy multiple products is critical to success. While a minimum order value of $10 is enforced, Hollar wants customers to feel happy rather than resentful about spending this amount. To achieve this, it designed its site to mirror Pinterest. This approach – which resonates with Hollar’s millennial mom target – makes browsing pleasurable and creates a “treasure hunt” mentality in which shoppers are excited to search for, find and buy interesting and innovative products. The simplicity and colorful design of Hollar’s site also contrast favorably with physical dollar stores, which tend to be less aesthetically pleasing and more difficult to browse. As a result, Hollar attracts a slightly different audience than traditional players: younger, a little more affluent, and more likely to have children. This helps increase order values and spend, especially as the offerings are well targeted, with lots of toys and household goods. Hollar’s customer acquisition is driven by traditional marketing and by the use of vloggers and bloggers who promote the brand. 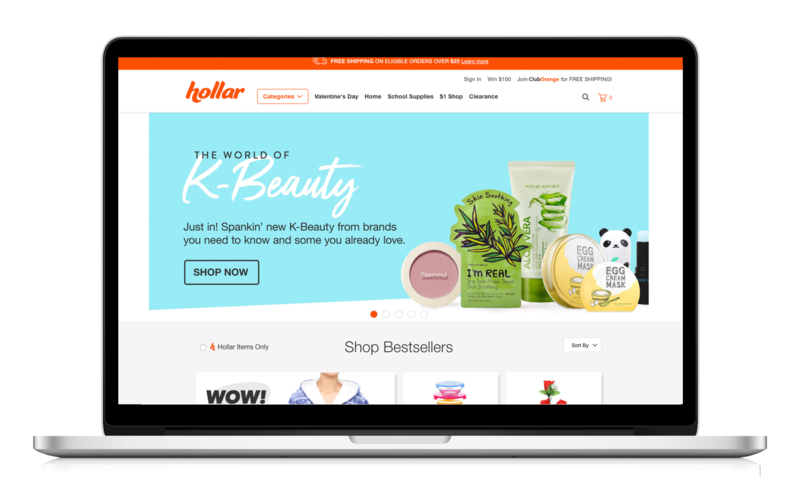 Hollar itself has a blog that provides household and beauty tips, shares new product discoveries, and entertains through quizzes and contests. This engagement is a key mechanism for driving traffic to the site and helps create brand loyalty. Logistics at Hollar are simple, with everything fulfilled from the company’s warehouse in Los Angeles. Shipping to some locations can take ten days, but the company is upfront about this, noting that it is necessary to keep prices low. This seems to be readily accepted and understood by customers. Hollar is set for further growth in 2018 and has spurred many of the dollar stores to reexamine their own online services. The incursion of low-priced players into the online space will likely be disruptive, and over the long term it could harm the margins of other e-commerce players. "Hollar's 2017 gross margins were positive, which is quite an achievement for a young company in a low-margin, cost-intensive part of the retail sector." Many apparel players had a flat 2017, with overall consumer spending growing by 1.3%. However, one segment that bucked this trend is online resale. Spend on clothing through this channel increased by 51.3% in 2017. Companies like thredUP have helped reshape views about secondhand clothing, and their propositions chime with the shifting values of American consumers. While price and value for money remain the main reasons for buying secondhand, consumers also enjoy using sites like thredUP and Poshmark because of the continually changing assortment, the unique products offered, and because they believe it is a more environmentally friendly option than buying new. Physical thrift and consignment stores have existed for years, but they have never reached a mass audience and are actively shunned by some (often more affluent) segments of the market. Online resale players have changed this dynamic with websites that use compelling photography to showcase merchandise in a way that resembles a boutique. Value-added services, such as high-quality packaging, also help shift perceptions. The main difference between physical and digital resale shops, however, is in the curation process. Unlike a physical secondhand store, which usually has a limited market from which to procure goods, online resalers receive products from people all over the country. As such, they can pick and choose what items to accept and can put together assortments they know their customers will like. This more disciplined approach to merchandising has transformed the way shoppers see secondhand apparel. Collectively, online resale remains a small part of the apparel market. But with revenue growth forecasted to top 350% over the next five years, it is gradually biting into established players in both the off-price and full-price parts of the sector. With more affluent shoppers indulging in resale, even high-end brands could feel the heat. 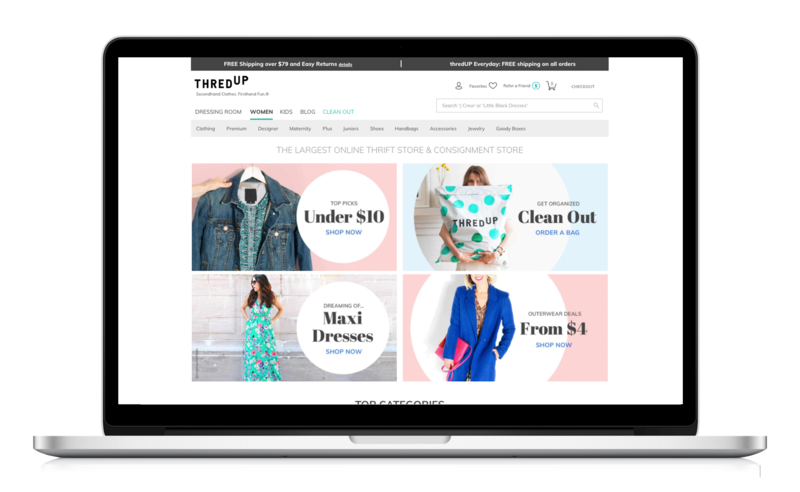 Bonus: See how OneSpace helped thredUP onboard hundreds of new products in minutes. The retail space is now more competitive than ever, thanks in large part to online-only players like Wayfair, Hollar and thredUP. While many of today’s retailers aim their competitive focus on giants like Amazon and Walmart, these smaller players can no longer be ignored. 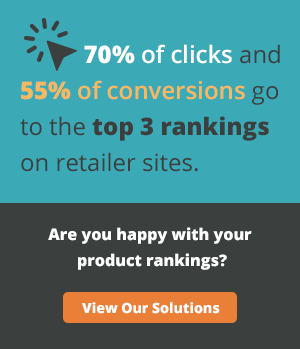 Are you looking for new and innovative ways to win at e-commerce? Contact OneSpace today to see how we can help.